There are two camps when it comes to Sasquatch: those who believe, and those who don't. Many scientists have discounted the existence of this legendary creature and consider conversations to be some combination of misidentification, folklore, or a hoax. There are others, however, who have dedicated their lives to researching and tracking the elusive Sasquatch (also known as Bigfoot). The creature is described as standing between 7 and 10 feet tall and weighing somewhere between 500 and 1,000 pounds. Footprints measure from 12 to 22 inches, give or take a few inches. Hair color is typically reddish brown and matted (like that of a bear with mange), but also gray, white, brown, and greenish-blue. Sasquatch can run up to 30 mph and leap 8- to 10-foot river crossings in a single bound. In 1965, Bigfoot was officially added to the endangered species list in Russia. Germany and France followed suit in 1967. New artifacts were found in multiple caves near Boise, Idaho, portraying a giant “bear” consistently walking on its hind legs like a human. The “human” remains found in Klamath, Oregon, in June, 2000, would be that of the tallest man in the world. Laid out, the individual stood 9 feet 6 inches. The femur bone measured 4 feet 1 inch. Though Sasquatch is said to be "ape-like," it has been reported that they do not like bananas. Washington State has the most recorded sightings according to The Bigfoot Field Researchers Organization. So, where do you have the best chance of spotting Sasquatch? Here are our top recommendations. Washington is the number one state for reported Sasquatch sightings. The North Cascades offer a few prime locations including Cyclone Lake, Minotaur Lake, and Anderson + Watson Lakes. Enchantment Lakes, Spade Lake, and Snoqualmie Lake in the Alpine Lakes Wilderness are good options as well. Alpine Lakes Wilderness. Photo by Michael Sawiel. As the state with the second most reported sightings to date, there are many areas in Northern California that Sasquatch calls home. 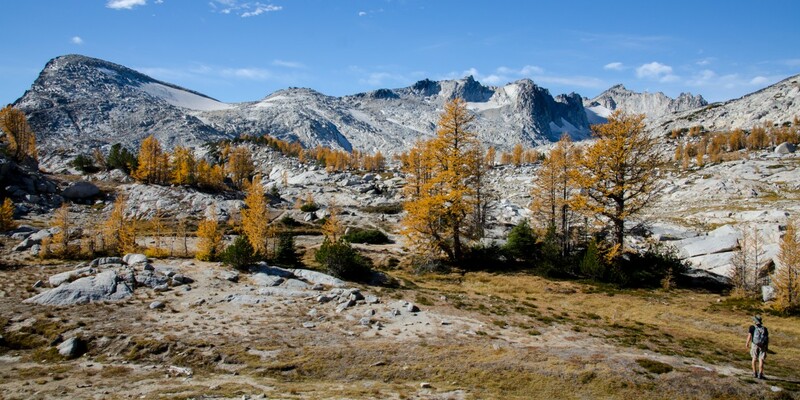 To optimize your chances, get away from the crowds and visit the remote areas of California's beautiful landscape. Mount Shasta, Mount Diller in Lassen Volcanic National Park, Lake Aloha in the Desolation Wilderness, and Tenaya Canyon in Yosemite National Park are a few good places to start. Lake Aloha, Northern Sierra, California. Photo by Brandon Katcher. 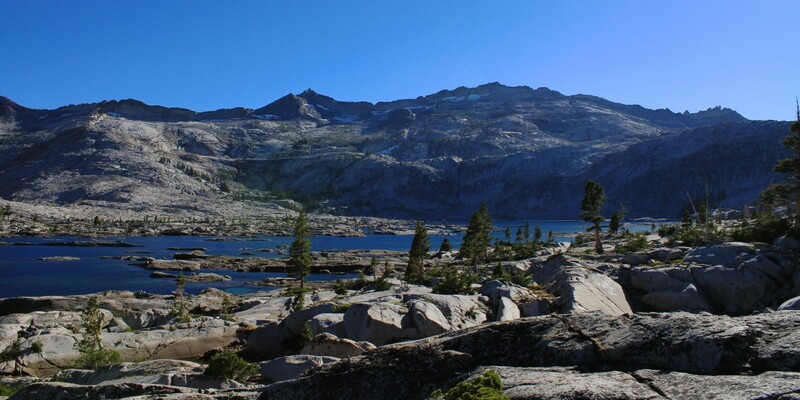 If you hike a few of the 480 miles of trails in the 359,991 acres of the Eagle Cap Wilderness, you just might see Bigfoot somewhere within the mountain peaks and alpine lakes. Glacier Lake and Ice Lake are majestic with or without a Sasquatch sighting. Typically Sasquach are found in more remote areas, but they apparently have a love for the Willamette Foothills along the McKenzie River. Keep your eyes peeled when you visit Sahalie Falls, Koosah Falls or hike along the McKenzie River Trail. If you're boating a run from Olallie to Paradise, Paradise To Blue River, or Harvest Landing to Armitage Park, scan the banks for hairy creatures. Watch this video and you'll see why. 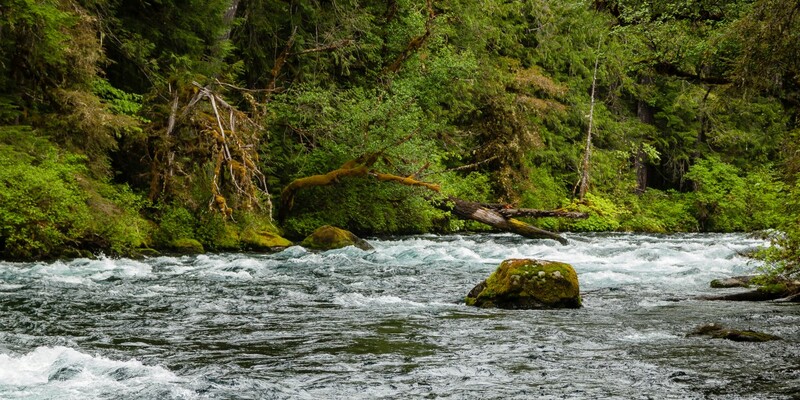 McKenzie River. Photo by Halvor Tweto. The best tip we can give you about finding a Sasquatch: spend a night outdoors. Have other places you'd suggest? Tell us in the comments below. Also, many thanks to Jack Links Beef Jerky... for obvious reasons.